In a book published in 2012, http://www.amazon.com/s/ref=nb_sb_noss?url=search-alias=stripbooks&field-keywords=Sharon+Tennison a mother of four from California documents the birth of an idea - citizen diplomacy - and its achievements over thirty years. Sharon Tennison has succeeded in melding documented milestones, illustrated by black and white photographs , with narratives worthy of a book of fiction. At a time when the threat of nuclear war between the US and Russia that first motivated her in the 1970s is again looming, her achievement is worthy of attention - and emulation. When the US government asked hospitals to set aside beds for victims of a nuclear attack, Sharon was asked by Physicians for a Sane Nuclear Policy to speak to groups about the insanity of nuclear war. After writing to President Reagan, she was informed she had been 'handed over to the State Department', and when she and a group of friends visited the Soviet Consulate in San Francisco to request travel visas in 1983, the FBI tried to dissuade her from taking ordinary citizens to visit the Empire of Evil. Anti-Russian propaganda suggests that the US media maintains Americans in a view of Russia that no longer corresponds to reality, painting the portrait of a drab and bureaucratic country. Unlike what went on during the Cold War, when Communist leaders were rarely singled out unless they banged a shoe in the Security Council. With US encouragement, Russia's first president, Yeltsin, allowed the pillaging of Russia's precious resources by oligarchs, yet anti-Putin propaganda is widespread at present, in the face of admittedly high ratings at home, which, it is suggested, simply mean that Russians like authoritarian governments. "Our group of 20 citizen diplomats was composed of several travelers who had NEVER been to Russia. For them the trip was a new travelogue with Russian faces, discussions, home visits, and businesses appearing every few hours for the entire trip. I think all would say it was a real eye-opening experience. 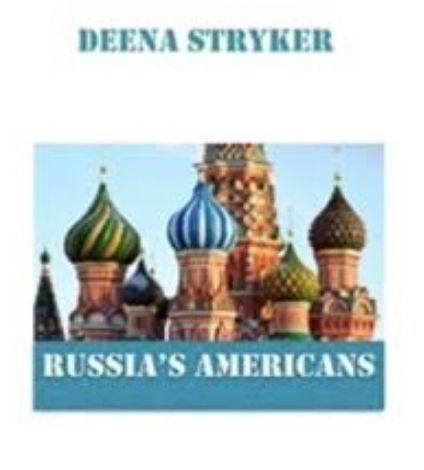 For others who had been there one or more times, they were shocked at the physical changes in Russia and the Russian people since they last traveled there. Several who have traveled to Russia multiple times over the past dozen years had kept up with Russia's progress, and were fascinated to see into small and large private businesses, think tanks, have frank discussions with many new Russians; even for these watchful observers, Russia is still changing for the better. Last for me, it was intriguing to see how ordinary (and not so ordinary) Russians are faring under the US sanctions and the loss of European trading partners. Of course, depending on whom one talks to, one gets different points of view. The following represents the opinions of the bulk of those Russians with whom I spoke. 1. The most startling fact for me is how well Russian people are withstanding being cut off from their normal long-standing markets and trading partners in Europe----and how they are faring since their ruble lost about half of its value in the past year. They were concerned about how long this period might last, but none registered serious fear or diffuse apprehension. Unlike us, Russians have gone through so much worse in their past. This is apparently rather small by comparison. 4. Russia's structures, from 18th century buildings to today's skyscrapers, are well kept these days. Unlike yesteryear, streets and sidewalks are clean. We traveled by metros, minibuses, and cars inside these cities----and across the countrysides by train and occasionally by cars. Highways are finally in good shape, city streets also, and they are as well marked as ours----this is new. Pedestrians have the right away with traffic now! We saw few dilapidated houses, except for rows of original wooden houses in Volgograd. Russia's villages are disappearing which is a great loss to those who still revere village life. Khrushchev's five-story apartment buildings are being razed with numerous elegant residential buildings going up in each city. I counted 19 cranes from one vantage point in Ekaterinburg.